This magnificent buffet features elegant antique mirror inlays on its top, drawer fronts, sides and tapered feet. 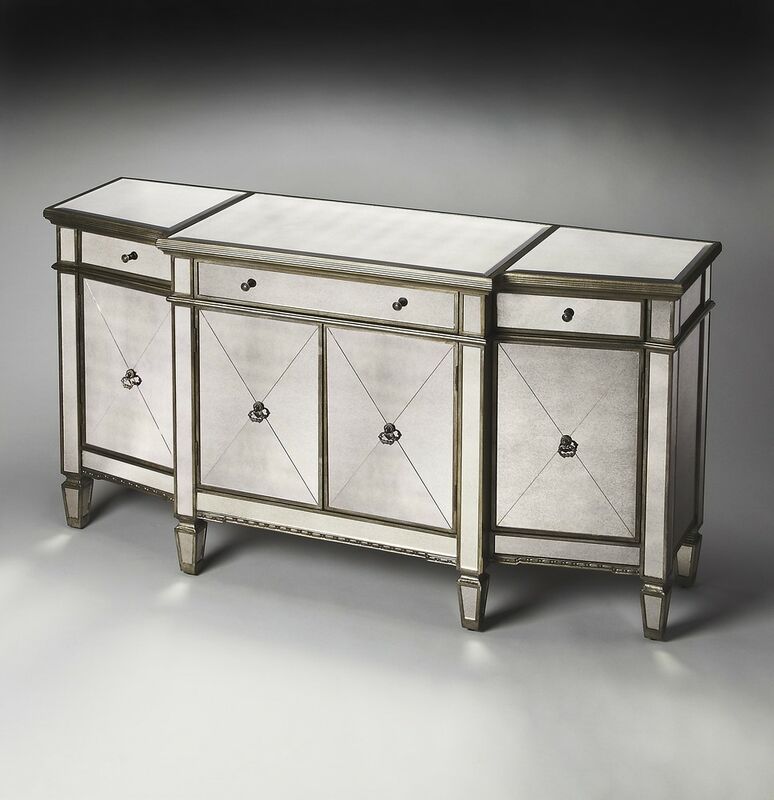 No detail is overlooked with a beveled edged top, beaded carving on its base and striking pewter finished trim. Handcrafted from select hardwood solids and wood products with antique brass finished hardware, it boasts three separate storage areas – one behind each of the side doors and another behind the two center doors – each with one adjustable shelf.